The hotfix addresses a number of player-reported issues. 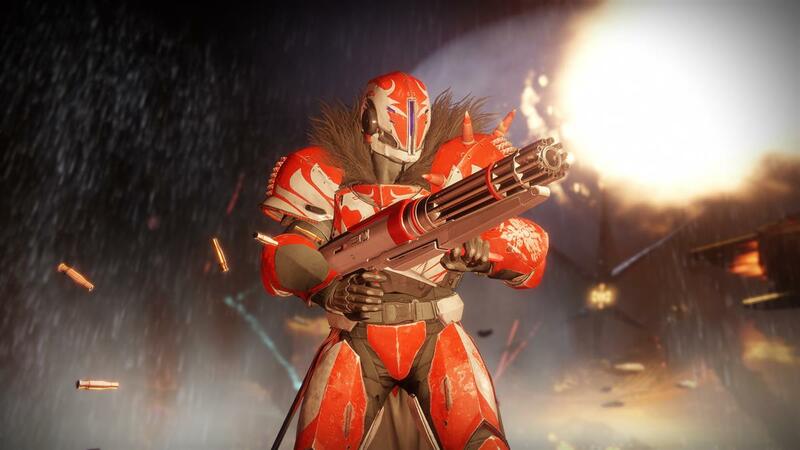 The latest round of Destiny 2 maintenance has concluded (and fortunately it didn’t last for hours on end this time around), and Bungie has now shared exactly what issues the maintenance addressed. Fixed an issue that caused players to not receive Man O’ War Linear Fusion Rifle Quest Reward when they have a full weapon inventory. Players can obtain their missing Man O’ War from Asher Mir on IO. Fixed an issue where the Prism modifier did not persistently display the currently featured element. Prism will now display a brief screen effect when the element changes to increase visibility. This will also resolve an issue impacting the Momentum modifier. Fixed an issue where a Raid object was receiving an unintended amount of damage from Wardcliff Coil. Fixed a rare memory leak that would result in a Matchmaking crash. The 1.0.1.3 hotfix clearly benefits Nightfall players the most thanks to the Prism modifier fixes, but it also shows that Bungie is committed to squashing any leftover bugs no matter what part of the game they affect. If you want to hop into the freshly-patched Destiny 2 but you’re in need of some specific tasks to pursue, we’ve got you covered in case you want to get some Exotic gear, find your first Sparrow, or earn the coveted MIDA Multi-Tool weapon.